This week's Beer of the Week, United Front Braun Beer, is a collaboration brew initiated by the B.C. 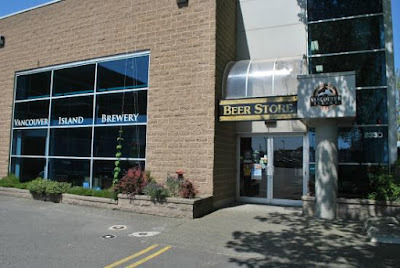 Craft Brewers Guild between two breweries, one old and one new, one from the island, the other from the mainland. 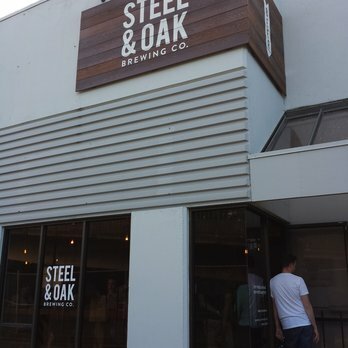 Steel and Oak Brewery is a relative new comer to the B.C. craft beer scene. For 143 years, starting in 1862, there had always been a brewery in New Westminister. Labatt's ended that streak when they closed their brewery in 2005. Local residents, Jorden Foss and James Garbutt, decided that it was time for a new brewery for the city. They hired brewmaster Peter Schulz, who received his training in Germany, and on June 24, 2014, opened their brewery doors. Local residents took to their beer offerings right away that the brewery actually ran out of beer for a week. Now that they are aware of the demand, they have tightened their brewing schedules. They have a tasting room with eight beers on tap and even a tap with lemonade for the kids. Where Steel and Oak are the newbies, Vancouver Island Brewery is one of the granddads of the B.C., even Canadian craft beer industry, having started its operation in 1984 as Island Pacific Brewery with Garrick’s Head Pub in Victoria being its very first customer. The company changed its name in 1992 to what it is now and started their first bottling operations, having only sold to bars and pubs in draft kegs before that. Vancouver Island's brewmaster, Ralf Pittrof, also has a great amount of experience in brewing old world European beers. The United Front Braun Beer is a version of a German style Kellerbier, which is made with Vienna malts. Kellerbiers, which translates to cellar beers, are usually unfiltered lagers, with low carbonation and full of aromatic hops. Although they are not brewed much in North America, the style is still very popular in Bavaria, usually served there from a cask. The Braun Beer is a surprisingly lively ale. It pours a nice coppery colour with perhaps an orange hue. As I said, this is a lively ale and I had expected one much flatter as the above description describes this as this style being low carbonation. Maybe that's not the way with a Braun style beer. It took quite awhile for the head to dissipate and later when I went to refill my glass, I had to be quite careful to keep the head to a normal size. The off-white meringue-like head must keep in the aroma, as I found nothing to detect. This is a very interesting beer to taste. It starts off a little malty, then comes in a burnt but sweet taste, before finishing with some bitter tones. There is a woodiness to this too. A complicated, multi layered ale. This is not a beer I would have all the time but would definitely have on occasion if I could get it in Toronto. Thanks, Teena, for bringing this home from Vancouver with you!